In the late 19th century, as America’s teeming cities grew increasingly congested, the time had come to replace the nostalgic horse-drawn trolleys with a faster, cleaner, safer, and more efficient form of transportation. Ultimately, it was Boston — a city of so many firsts — that overcame a litany of engineering challenges, the greed-driven interests of businessmen, and the great fears of its citizenry to construct America’s first subway. Based in part on Doug Most’s acclaimed non-fiction book of the same name, The Race Undergroundtells the dramatic story of an invention that changed the lives of millions. Written, produced and directed by Michael Rossi and executive produced by Mark Samels, The Race Underground premieres on American Experience Tuesday, January 31, 2017, 8 p.m. on OETA. But a young American inventor named Frank Sprague had a revolutionary idea. Inspired by his visits to the London Underground, Sprague envisioned a subway system that would trade London’s soot-spewing coal-powered steam engine with a motor run on the latest technology — electricity. After an early job with his idol Thomas Edison, Sprague launched his own venture, the Sprague Electric Railway & Motor Company. Seeking investors, he first struck out with financier Jay Gould after almost setting the mogul on fire during a demonstration. He soon found backing with the wealthy capitalist Henry Whitney, who owned a fortune in suburban Boston real estate and quickly saw the financial upside of connecting his desirable residential neighborhoods with the city’s economic center. 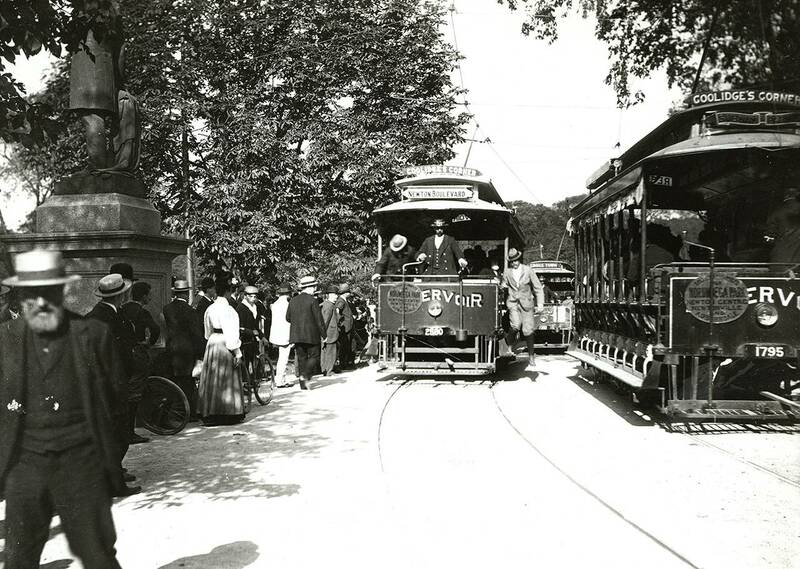 Whitney also proposed the consolidation of Boston’s seven existing streetcar companies — all under his control. When the Massachusetts General Court granted Whitney the monopoly, he announced an unprecedented plan - to build the nation's first subway. Powered by Sprague's technology and enthusiastically supported by Boston Mayor Nathan Matthews, the project threw the city into a voluble debate.